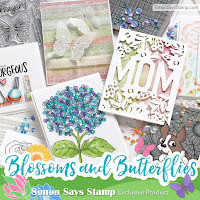 If you're here to see my sample cards for the current Simon Says Stamp Wednesday challenge, please click HERE. I have been missing in action for most of the last month, due to personal reasons, and so I've missed playing in some challenges that I usually participate in. One of them is Winnie & Walter's monthly Rerun challenge. But I have a few hours left to enter, and so here is my card for it, inspired by Lydia Evans card where she chose some of the smaller elements in the set. I don't have the This Awesome House stamp set that is being highlighted this month, so I used a small twig, the cardinal, and a sentiment from the Winter Wonderland set. I love wreaths, and it was fun to make this little twig one, using 2 shades of brown distress ink. As I always do, I traced a circle lightly in pencil first, stamped my twigs, and then erased that circle. It's that time of the month - Anything Goes! 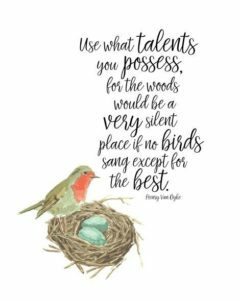 My teamies and I are using Clearly Besotted products this week, but you can use anything you'd like and make whatever pleases you - show us your best stuff! supplies: Cream cardstock, Clearly Besotted Boo to You clear stamp set, Cheese Puff and VersaFine onyx black inks, patterned papers from Doodlebug and Bella Blvd. 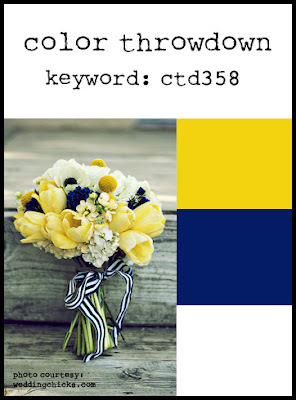 I'm sharing a card that I made for a challenge, but never posted. 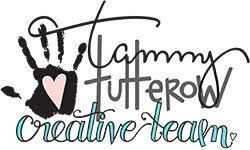 Our theme this week is "No Designer Paper", and the Design Team are using Taylored Expressions products. I fell in love with one of their embossing folders, and made you 2 cards. Using the faux letterpress technique, I inked the flat side of the embossing folder with distress ink, then inserted a piece of white cardstock and ran the whole thing through my cuttlebug. That piece was attached to a kraft card base, and then I added the die-cut and stamped elements to it. And since we are officially now into the Autumn season, I couldn't wait to pull out some fall colors. I embossed a panel of each of the 3 colors, sanded them lightly to bring out the secondary color in the papers, then cut them vertically into thirds and then those strips horizontally in half, and re-assembled them so that the pattern continues across the card. Then I die-cut some maple leaves and my sentiment and added them atop the embossing, along with a sprinkling of sequins. And one more makeover card.......and a winner! At the new Hero Arts blog, the challenge is to choose one of your own cards and make it over, using at least 1 Hero Arts element. I used a Rose Pink watercolor marker to color my background stamp, then spritzed it with water and stamped. The butterflies were also colored with various watercolor markers before they were die-cut with the matching die in their set. Weekend again! 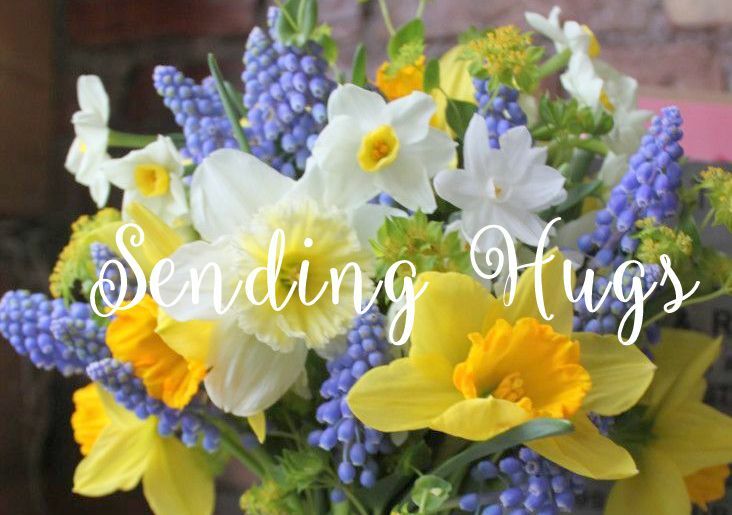 Hope it's a great one!! 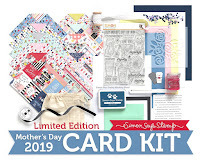 Simon's done it again - put together some beautiful elements for their current Card Kit! I chose this square journaling card that had the shape of a butterfly cut out of it, and framed it in black cardstock, then popped it above the gorgeous patterned paper, which has foiled gold here and there on it. I also used the gold ink to put a gold edge all along that patterned paper. And lastly I cut the sentiment from some gold foil paper and glued it in the center of the butterfly panel, which was then popped up above the card. A simple design, but those triangles in the background give the effect of a million fluttering butterflies! Again, I chose this pretty journaling card, framed it in the included pimento cardstock, and then added some embellishments: tied a bow using the included embroidery floss, and fussy-cut and popped the butterfly from one of the other journaling cards, then added some sequins. Love the sentiment! Don't wait too long, I'm sure this one will be another sell-out! For lots more ideas using this kit, don't miss the October Card Kit gallery at the Simon Says Stamp blog! Our theme this week is Die Crazy - use a die somewhere on your creation. The Design Team are using products from WPLUS9 this week. For my updated card, I started with the same Simple Leaf Background stamp and stamped it using HA's ombre Butter to Orange stamp pad, then cut it into a panel. I inlaid my die-cut sentiment, lined the panel in mandarin layering paper, and added some die-cut maple leaves, one of which is cut from a cherry wood veneer. Here's our inspiration, isn't it pleasing? I guess I'd put my card in the Clean and Layered category. 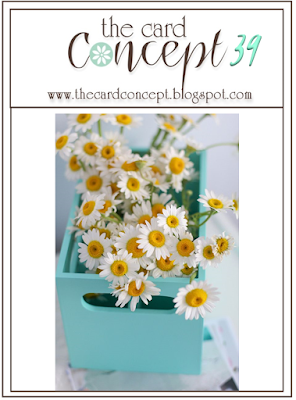 There's isn't anything happier than daisies in a canning jar. Yes, my buttons are naked - I am from here on abandoning the practice of threading every button I use on a card! I love how this brand new bird fits right into the older 2010 wreath. The wreath was stamped 4 times or so to make it nice and full. And if you haven't figured it out yet, I am ALL IN with these multi-step stamping sets! Keem 'em coming, please! And this is my first Christmas card of the year! 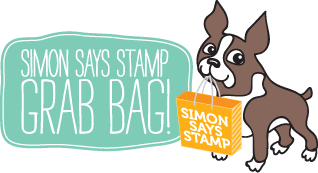 Simon Says..........Use a Stamp and Blog Hop! 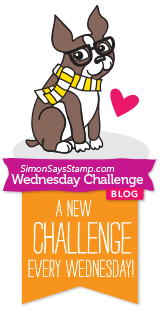 It's time for a new challenge at the Simon Says Stamp Wednesday Challenge blog!This week our challenge is Use a Stamp. 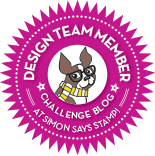 We're doing things a tiny bit different just this week: you must create a project using a stamp, no digitals, please, add your creation to the linky as usual, AND then hop around to all of the Design Team's blogs and leave a comment. 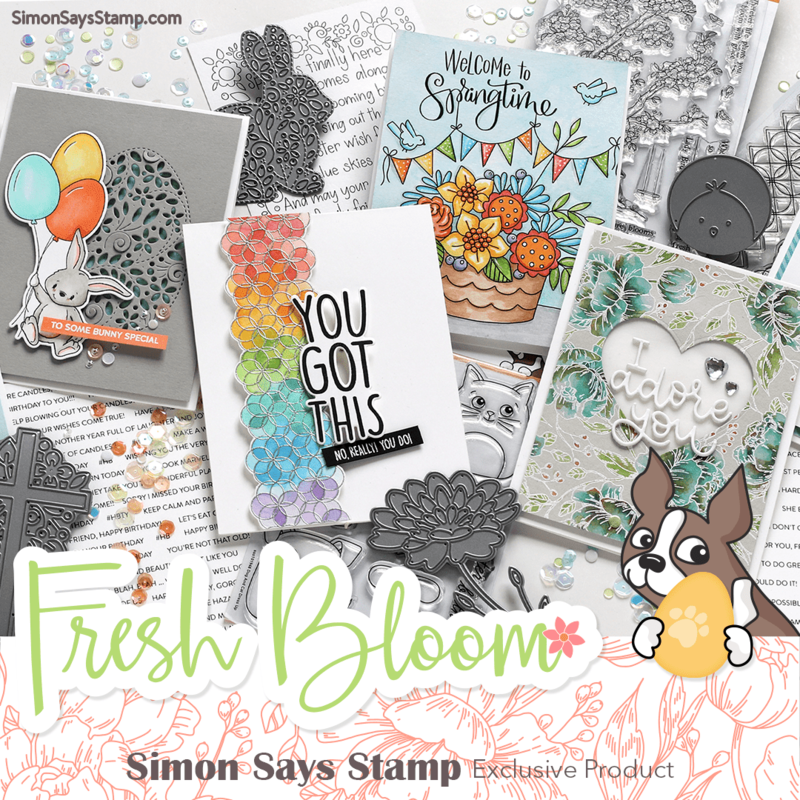 We are all showcasing the new STAMPtember® products being released - a humongous release full of stamps, stencils, and dies! If you haven't seen them yet, just click HERE. I repeatedly stamped the bus across the card front, then scribbled on a yellow gelato. I stamped and colored the little student, cut her out on a stitched tag, and added my sentiment stamped and embossed in white on black to make it resemble a chalkboard, in keeping with the school theme. This Sports Planner set has every sports ball you can think of, plus some sentiments that would really come in handy for listing all the practices and notes a parent would need during any sports season. 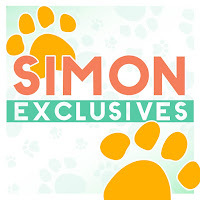 AND I have a Simon's goodie bag to give away, too! All you need to do is leave me a comment here and enter the challenge! Do you use Instagram? If you do, we'd love you to add #ssswchallenge to your challenge entry uploads so we can see them on there, too! Follow Simon Says Stamp on Instagram. The next person on the hop is our fearless leader Lols! Happy Hopping! There will be 4 winners chosen, so I hope you'll play along too! Thanks for stopping by today. What a great name for a challenge! Share Joy is a new challenge sponsored by Taylored Expressions, and part of the challenge is to send or give your card away. Their first challenge uses colors that are so pleasing - so glad I was able to enter this first one! And it's so kind of them to not require using their own products, as I only own an embossing folder from them right now. I've been wanting to use this branch and smaller flowers from the Vintage Flowers set, and was pleased to try them out for the first time. I used all 3 layers on each flower, but only 1 ink this time, so the details are much more subtle than if I'd used 3 shades of ink. I added leaves from Painted Flowers colored with a marker, then fussy-cut out my arrangement and placed it over the planking. There's a new company brand at Simon Says Stamp called Pink & Main! I was lucky enough to get a couple of their stamp sets and today I'm sharing 2 cards I made using them. There are lots of fun elements in Hey Pumpkin, but I chose to concentrate on the fun carved faces for the pumpkins on this card. They are fun and not too scary, perfect for my little grands. This next card uses their Bubbly Card Borders stamp set. 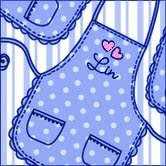 There are 6 individual borders in this set - I only used 2 of them......this would work nicely with any stamps that are striped, too. I hope you'll check out Pink & Main if you like cute stamps - they are currently 27 different sets at the Simon Says Stamp store! 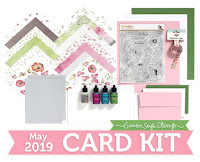 This month's Card Kit from Simon Says Stamp has some really fun elements this time. The acetate cards inside the kit really intrigued me, and there is something there for everyone! For my first card, I was especially drawn to this gold leafy branch design, and used it to make a shaker card, possibly for an autumn birthday. The papers in this kit from PinkFresh Studios are so unusual, and I chose 2 of them for this next card. I just stamped my sentiment from the new Birthday Bits clear stamp set in the kit over the balloons, and added some of the small elements at the top left corner, along with some of my own sequins. We are FINALLY getting some rain here this morning; a welcome relief from those humid temperatures we've been having lately - love having the windows open once again! I wish you all in the states a fabulous Labor Day weekend! Cath Edvalson has started a blog and she's loaded it with inspiration, just like back in the day with her Moxie Fab column! She has a challenge that she's calling Tuesday's Take, and it was just what I needed to get back into the groove after a 2 1/2 week vacation! I thought the circle smile die would work nicely as a sentiment with the design, as it adds another circle to the design, yet it allows the background stamping to be seen. 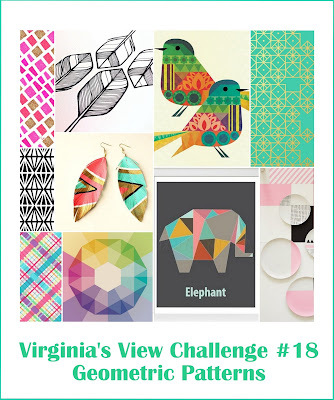 ETA: I just realized that this is perfect for Virginia's current challenge: Geometric Patterns! So I'm adding it to that challenge, also.